Dutchman’s pipe (Aristolochia spp.) is a perennial vine with heart-shaped leaves and unusual blossoms. The flowers look like small pipes and produce seeds that you can use to grow new plants. 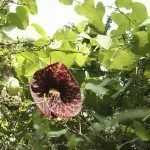 If you are interested in starting Dutchman’s pipe from seeds, read on. You’ll find various types of Dutchman’s pipe vine available in commerce, including vigorous Gaping Dutchman’s pipe. 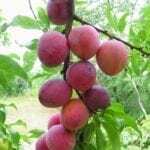 Its flowers are fragrant and spectacular, a creamy yellow with purple and red patterns. These vines grow up to 15 feet and even taller. All species produce the “pipe” flowers that give the vine its common name. Dutchman’s pipe flowers do a great job of cross pollination. 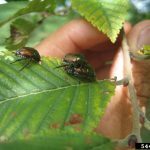 They trap insect pollinators inside their flowers. The fruit of the Dutchman’s pipe vines is a capsule. It grows in green, then turns brown as it matures. These pods contain Dutchman’s pipe seeds. If you are starting Dutchman’s pipe from seeds, these are the seeds you will use. If you want to start growing a Dutchman’s pipe from seed, you’ll need to gather the Dutchman’s pipe seed pods. Wait until the pods are dry before you take them. You will know when the seeds are mature by watching the pods. Dutchman’s pipe seed pods split open when they are fully ripe. You can open them easily and remove the brown seeds. Place the seeds in hot water for two full days, replacing the water as it cools. Toss out any seeds that float. Once the seeds are soaked for 48 hours, plant them in a moistened mixture of 1 part perlite to 5 parts potting soil. Plant two seeds about ½ inch apart in a 4-inch pot. Press them lightly into the soil surface. Move the pots with the Dutchman’s pipe seeds into a room with plenty of sunlight. Cover the pot with plastic wrap and use a propagation mat to warm the containers, roughly 75 to 85 degrees Fahrenheit (23 to 29 C.). You’ll need to check the soil daily to see if it is dry. Whenever the surface feels barely damp, give the pot an inch of water with a spray bottle. Once you have planted the Dutchman’s pipe seeds and given them appropriate water, you have to be patient. Starting Dutchman’s pipe from seeds takes time. You might see the first sprouts in a month. More can grow over the following two months. Once seeds in a pot sprout, move it out of the direct sun and remove the propagation mat. If both seeds sprout in one pot, remove the weaker one. Allow the stronger seedling to grow in an area of light shade all summer. In autumn, the seedling will be ready for transplant. Read more articles about Dutchman's Pipe.